When planning your spring garden, you may be wondering which vegetables will work best for a very small garden. If you only have a limited amount of space, it can be extra important to choose plants that grow well together. You’ll also want to plant vegetables together that won’t be competing for the same space or resources. Also, you’ll want them all to grow well in cooler weather. Here are some excellent spring garden vegetables for small spaces. All four of these sets of vegetables can be grown in partial shade or planted in containers. Even if all you have is a balcony or a small patio you can still grow a few spring garden vegetables. If you have more space, you can grow more of each vegetable, or space out your plantings every two weeks for a continuous crop. 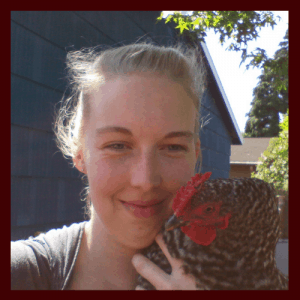 If you want more ideas on how to utilize a small space to grow a large harvest you may want to check out the book The Suburban Micro-Farm which details how to turn a small suburban lot into a thriving garden that includes fruits, vegetables, and herbs. Plant collards, beets, and kale with onions interplanted to discourage pests. Green onions would be a good choice here, but you can also grow small bulbing onions of your container is big enough for both beets and onions. The beets can also be eaten for their greens as well. All of these vegetables cook up nicely together and go well with rice and chopped chicken. Love sauerkraut? Try growing beets, cabbage, and onion together to make a yummy selection of fermented beets and sauerkraut. The onions will help discourage pests from attacking your cabbage. You don’t have to add them into your ferments if you don’t want to, but they’ll be beneficial companions for your beets and cabbage. Carrots grow well with green onions and lettuce. Interplant them together with peas growing on a trellis behind them and you can have a fresh, delicious salad in a bowl that you grew yourself. The trellis doesn’t have to be fancy, just use sticks and twine you have around the house and yard. Alternatively, try growing spinach, radish, and chard with your vertical peas for a different flavor. Spinach can be a little tricky, so keeping it in a pot will help you keep an eye on it. Chard is enthusiastic, and won’t mind you harvesting it continually. You could get several harvests out of this planting before the plants are spent! By using beneficial companion plants and selecting plants that grow well in multiple conditions you can really grow a small garden anywhere! 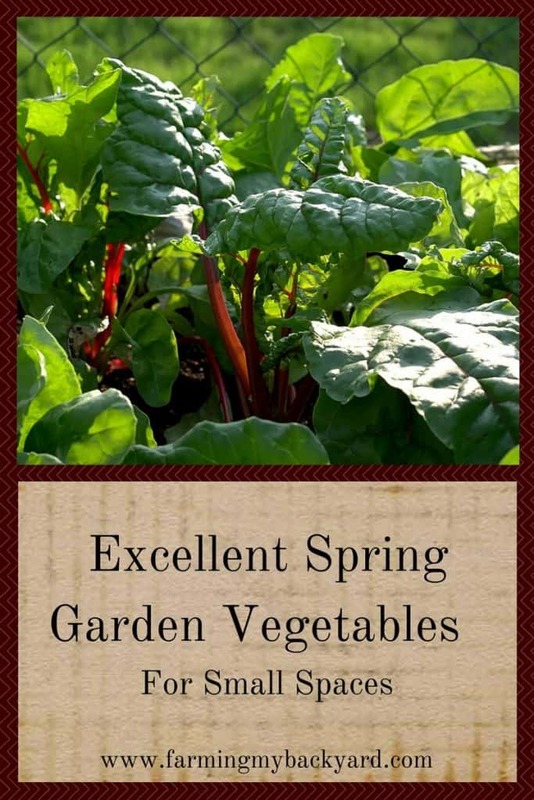 Hopefully some of these spring garden vegetables will work well for you. For more ideas, check out the Suburban Micro-Farm. Strawberries and asparagus in the same patch? Fascinating! Which did you plant first? and do they usually both produce? This would solve a major space question for me if this works. Strawberries and asparagus work well together because the strawberries have shallower roots than the asparagus, so they don’t compete for resources. I planted asparagus first because it involved more disturbing of the soil, and then the strawberries later after I learned they were good companion plants. I get small asparagus yields because we have really hard soil in that particular spot, but so far both have produced. The asparagus runs north to south so the strawberries get enough south and west sun to fruit.